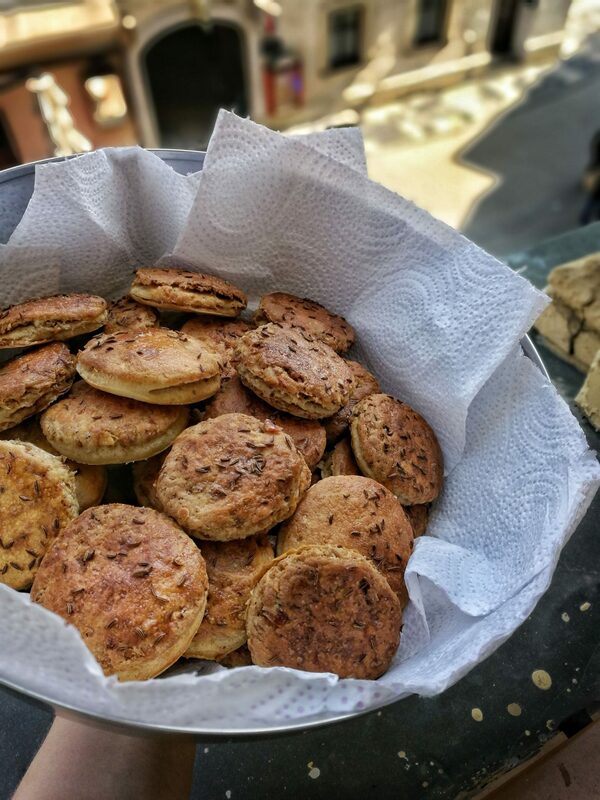 One of my favorite things to nibble and the symbol of regional cuisine, Zagreb, pub grub and good times: pork scratching scones. 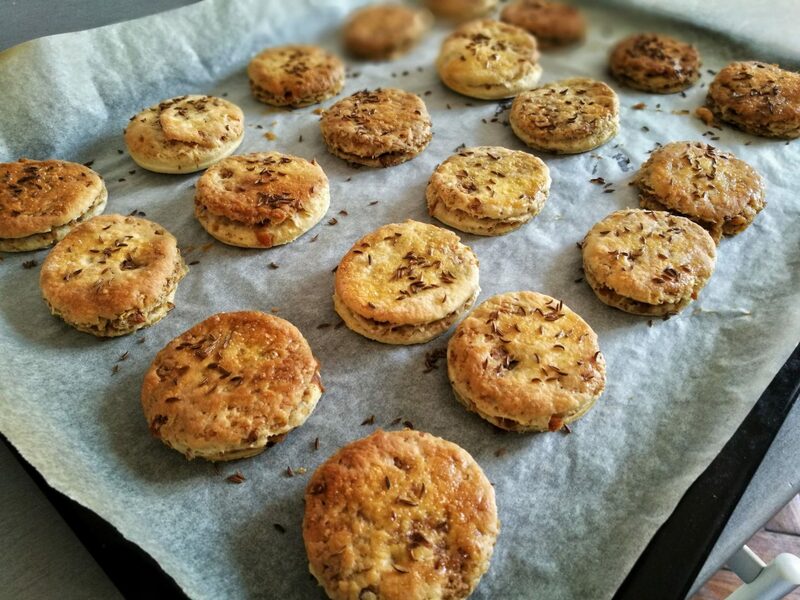 With the right amount of pepper and crushed pork scratchings, for me these scones represent decadency, a firework of pungent pepper and aromatic scratching. 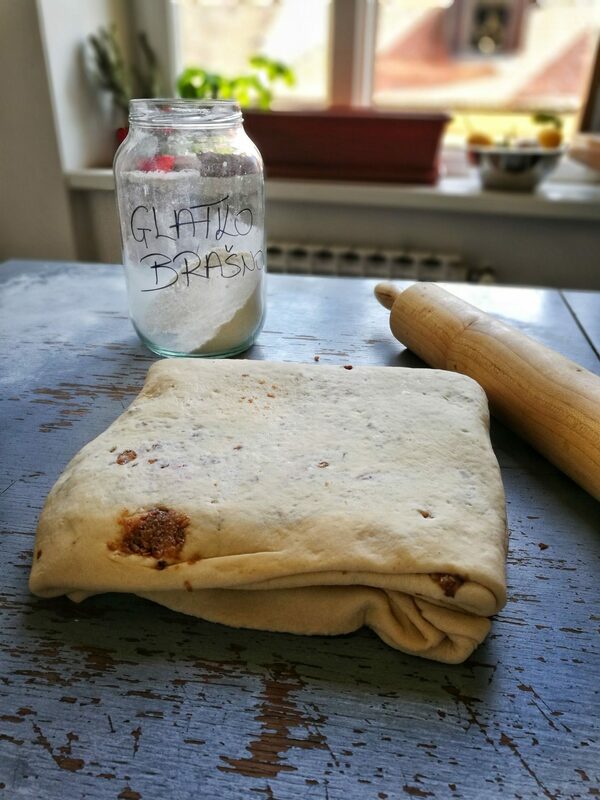 Recently I got the perfect result, a beautiful combination of puffy dough and crunchy crust with a hint of spiciness, so I decided to share my work here. Heat up the milk on low heat so it’s lukewarm. Add the sugar and yeast, stir well and let it froth. In a bowl mix the flour and salt. Add the yeast, a beaten egg and knead into a soft, elastic dough. Cover with towel and let it proof for 90 minutes. Then beat out the air, knead again and leave for another 30 minutes. 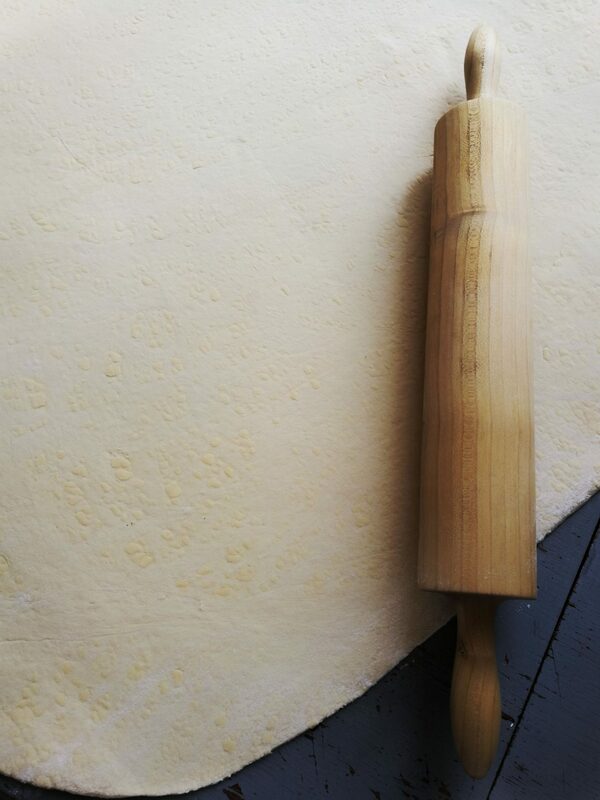 Roll out the dough to 1 cm thickness. 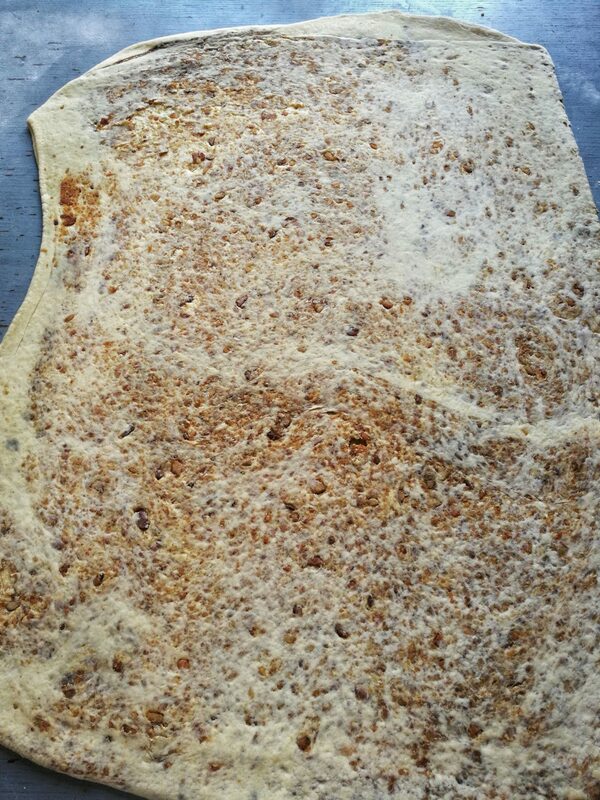 Spread the mixture of crushed (use the food processor) pork scratchings, salt (not too much) and a fair amount of pepper (a tablespoon) on half of the dough. You can add fried onions since they go well with pork. Cover with the other half of the dough. Then again spread the mixture on the half of the dough and cover. Repeat until the mixture runs out. Cover with a cloth and leave for 20 minutes. 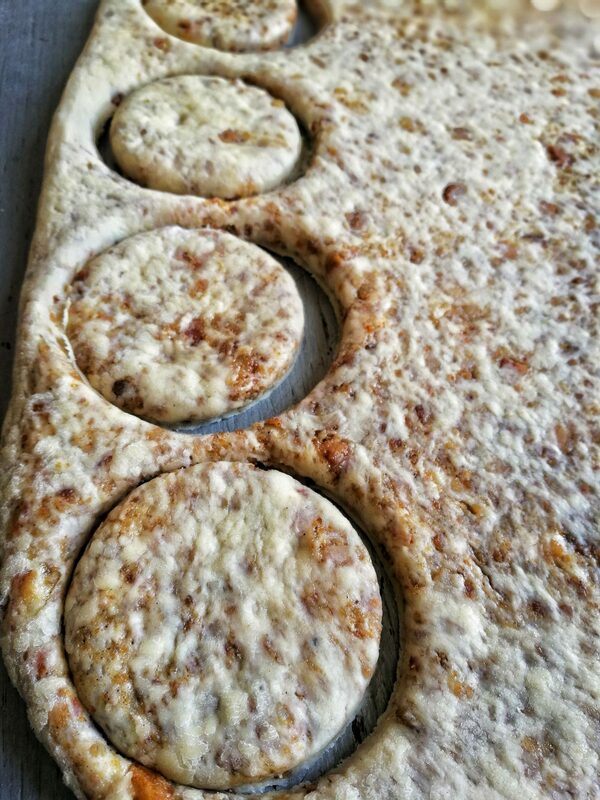 Roll out the dough to 2 cm thick (you choose how thick you want them) and cut circles with a glass. 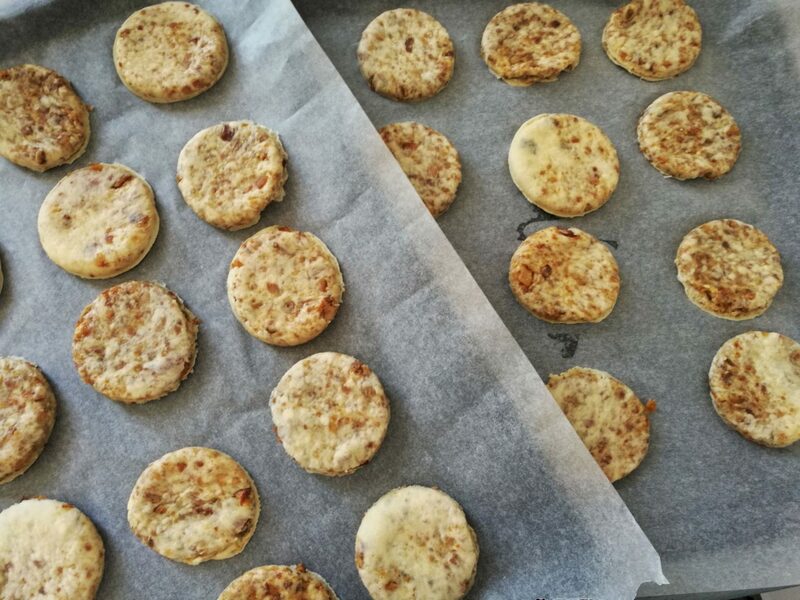 Transfer the scones to a tray covered with grease proof paper, smear with beaten egg yolk and sprinkle with caraway seeds. 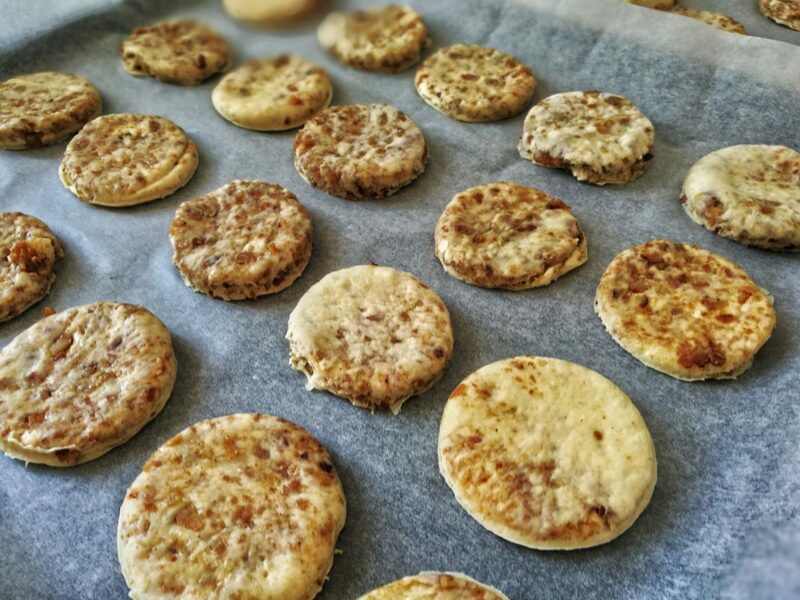 Bake for 15 – 20 minutes on 180 C, until they’re golden. 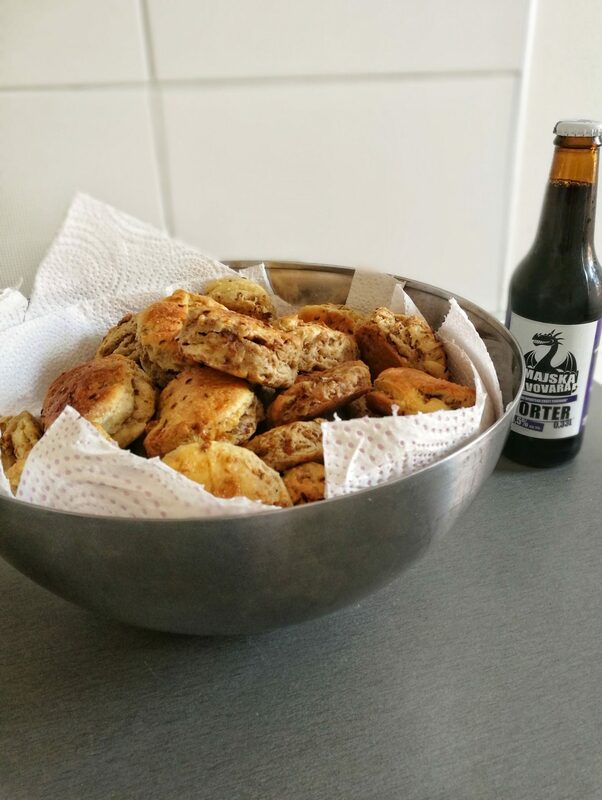 Serve lightly warm with a good beer. 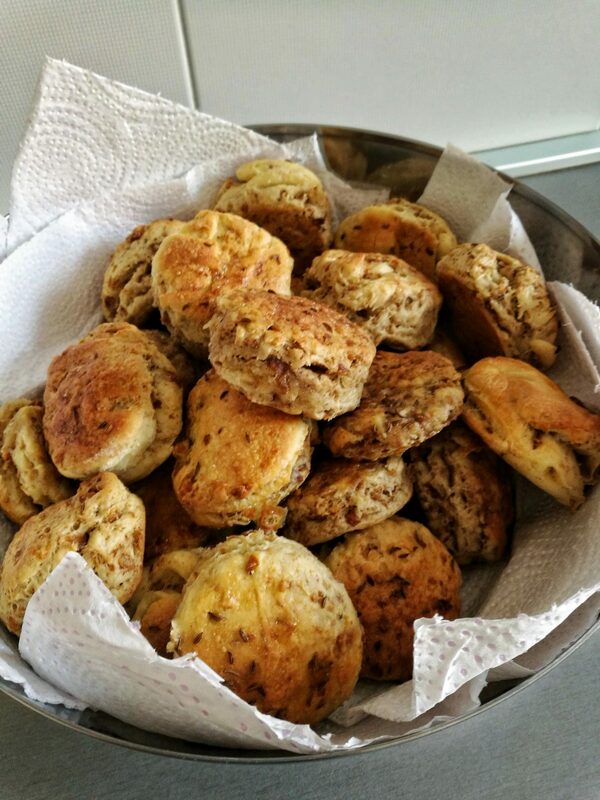 If you have guests coming, make double batch because these fragrant scones disappear in a blink of an eye. 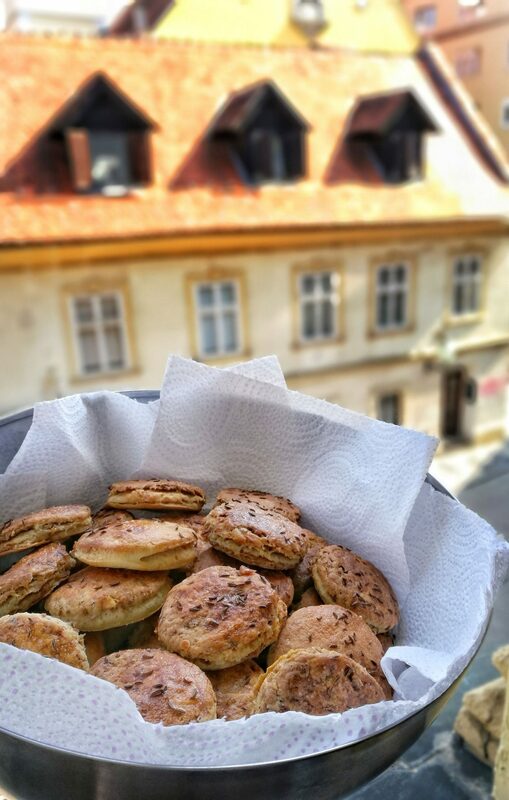 These are my scones and my city, Zagreb. They kind of go hand in hand since they’re served all over the town in every pub.